SomaLogic® is a privately held protein biomarker discovery and clinical diagnostics company based in Boulder, Colorado. Our mission is to leverage our proprietary Slow Off-rate Modified Aptamer ("SOMAmer") technology to: Develop and commercialize breakthrough clinical diagnostic products that will transform healthcare; Drive the discovery and development of new therapeutics by facilitating protein biomarker discovery and validation. 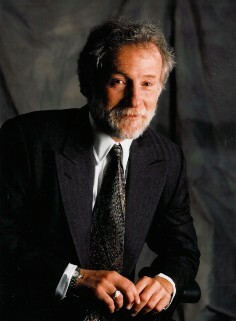 Larry Gold is the founder, chairman of the board, and CEO of SomaLogic. Prior to SomaLogic, he founded NeXagen, Inc., which later became NeXstar Pharmaceuticals, Inc. In 1999, NeXstar merged with Gilead Sciences, Inc. to form a global organization committed to the discovery, development and commercialization of novel products that treat infectious diseases. During nearly 10 years at NeXstar, Larry held numerous executive positions including chairman of the board, executive vice president of R&D, and chief science officer. Before forming NeXagen, he also co-founded and served as co-director of research at Synergen, Inc., a pioneering biotechnology company later acquired by Amgen, Inc. Since 1970, Larry has been a professor at the University of Colorado at Boulder. While at the university, he served as the chairman of the Molecular, Cellular and Developmental Biology Department from 1988 to 1992. During his prestigious career, Larry has received many citations including the CU Distinguished Lectureship Award, the National Institutes of Health Merit Award, the Career Development Award, and the Chiron Prize for Biotechnology. In addition, he has been a member of the American Academy of Arts and Sciences since 1993 and the National Academy of Sciences since 1995. Larry also serves on the board of directors of CompleGen and Plato BioPharma, and is a member of the Institute for Genome Biology External Advisory Board at the University of Illinois at Urbana-Champaign. CEOCFO: Dr. Gold, would you explain the concept at SomaLogic? Dr. Gold: The concept, which we have been working on for a long time, is that by measuring the precise concentrations of circulating proteins in blood, we will find proteins that go up or down. These are called biomarkers, which will lead to interventional activity that leaves people with healthier lives. It is a diagnostic biomarker idea driven by a deep scientific idea that one ought to measure a lot of proteins. There are 20,000 proteins in a human being, and we measure a fair fraction of them. More than anyone else in the world, with the technology we have invented and worked on for a long time. The idea is that by measuring many proteins carefully, one will uncover biomarkers for disease early enough to do something simple to save a person’s life. The general idea is that this business of measuring of proteins, which is called proteomics, is a way to measure disease status in humans. It is not like the idea of doing genomes, which is more often about the risk of disease. CEOCFO: What have you figured out that others have not? Dr. Gold: We at SomaLogic in our own work and in other work with collaborators, have found biomarkers that are associated with stage one disease such as pancreatic cancer and lung cancer. In those discoveries, we have been completely surprised that the guide to biomarkers is the experiment that we do rather than the literature. You cannot get to an idea of what one ought to measure without doing what is called an unbiased experiment in which you measure many things. When you measure many things, you obtain the data directly in an unbiased way, and you see things that are shocking. We had data, which was quite remarkable for thirty or so disease conditions such as heart disease and cancers. Last week, a wonderful pair of scientists Harvard- Rich Lee and Amy Wagers- published in Cell a collaboration with us. We have made available to the world something we call SOMAscan, and it is a precise measurement of 1,129 different proteins that are circulating in the plasma of a human being. SOMAscan can also be applied not only to humans but also to mice, for example. A fraction of those 1,129 signals, even though they are mouse proteins, and we get an unbiased SOMAscan in the mouse even though we use human reagents. Rich Lee and Amy Wagers worked out an agreement with us where we were able to do some mouse work. Rich and Amy knew that mice have a thickening of a part of their heart, as they get older. It looks a lot like human congestive heart failure, or at least the beginning of it. They have been studying that for years because they hoped if they understood it in the mouse, it would have some relevance to human disease. They have been working on this for about five or six years. They did a remarkable experiment. They took a young mouse and hooked up the circulation of that young living mouse to an old mouse. The two mice were living connected to each other in a cage, and the circulating blood of the young mouse repaired the heart of the old mouse. As soon as they did that experiment, they realized there was something in the blood of the young mouse that might help. You can imagine that what they wanted to do was figure out the difference between the blood of the young mouse and the blood of the old mouse. They tried many experiments over several years, and through classic molecular biology, they were not making any progress. They then heard about us and contacted us. We agreed to help them, and they found a protein, which was quite high in the blood of young mice and low in the blood of old mice. Their simple hypothesis was that the proteins in young mice by themselves would cause the hearts of old mice to get better. They took a couple of those things which made sense to them, and one protein turned out to improve the hearts of old mice. In the back of the paper, Rich and Amy report on an experiment, which we did with a man from UCSF named Peter Ganz. In the work we did with Peter Ganz, which he reported at the American Heart Association a few months ago, for people who were at a large risk of heart disease, one of the biomarkers which we found in humans that is a high-risk biomarker for a subsequent heart event such as heart attack or stroke, was very low levels of the same protein. CEOCFO: How does your approach differ from others? Dr. Gold: The normal way for measuring proteins is to measure them one at a time. If you measure them one at a time, you can use antibodies- a kind of molecule. The antibodies usually pair up and bind to the same protein, and you would quantify the proteins you are trying to measure. That technology is very old and very powerful and at the basis of most of the diagnostics you know about. We understood fifteen years ago that the antibodies could not be used to measure a large number of proteins all at once. Classic uses of antibodies only measured thirty or so proteins. We knew when we started that antibodies are wonderful to measure one thing, but are not so good when you are trying to measure many things. You have to measure many things when you are trying to find things, which people do not know. There is another technology called mass spectrometry, which is practiced by many people, and it allows unbiased biomarker discovery, but at great expense and at very low sensitivity. We discovered a new class of reagents, which we have been working on since 1990, and we have kept improving them through a company that was before SomaLogic called NeXstar Pharmaceuticals. I was the founder of that as I am the founder of SomaLogic. We realized that there was a way to use this new class of reagents, which are like antibodies but are made out of something different, and they have a name we have given them called SOMAmers. We figured out a way to use those reagents to quantify proteins in a way that you cannot do with antibodies. In the past couple of years, we have run 30,000 different human samples at SomaLogic in our own work along with collaborations with Quest Diagnostics. No one else has ever done that. We have probably run more samples than anyone else has in the world in an unbiased, biomarker discovery approach using this technology that we invented. CEOCFO: Where are you today in the commercial aspect and the aspect of helping people? Dr. Gold: The only reason we started SomaLogic was to do exactly that. We have a partnership with Quest Diagnostics, and one of their first products from our work for them is aimed at blood tests for non-small cell lung cancer in heavy smokers. This is a terrible need in the United States, which is where Quest primarily operates. 150,000 people a year who are mostly smokers are diagnosed per year with non- small cell lung cancer, and every year the average time they live is six months. It is one of the cancers that early detection could save lives. CEOCFO: How was the decision made to determine the first potential use? Dr. Gold: It was made because we were doing a lot of work, and the protein signature we found for non-small cell lung cancer was powerful, made to test accurately, and it was a chance to make a real difference with people who were otherwise going to die. The number of us here total at SomaLogic is one hundred, and six of us have lost parents to non-small cell lung cancer. Both of my parents died from non-small cell lung cancer. The data were good, the need was high, and the company was motivated. There are many important diseases and we believe we can do good work aimed at many of them. CEOCFO: Overall, is the medical community onboard? Do they understand the concept and are they excited, or is this work still a bit under the radar? Dr. Gold: I would say that for the first five or ten years working on this, the medical company was at best indifferent or did not know about it at all. Although that was painful, it was also legitimate on their part because it can take a long time for things to get into play in that business. Our first major publication was a few years ago, and until that publication I would give many talks. People would react appropriately and skeptically, so we worked hard to prove that what we had developed truly worked. It does work, and it works better than anything I have ever seen. In the last few years, the appreciation by the biotech and pharma companies has been gigantic. The appreciation by the diagnostics community is very high, and the medical community will come on board soon. They certainly know about biomarkers, and their community is smart. What we are offering are things that help them treat their patients better. There is no conflict between doctors and us; it is just that it was early. We are getting to the point that it will be better known in the communities that matter, and it will certainly be better known when Quest launches the non-small cell lung cancer test. CEOCFO: What is the timetable? Dr. Gold: We are not allowed to know that. They do laboratory design tests, and we are not allowed to help them with that. They have to design it and do it until we hear reports about it, but we are hopeful that it will launch toward the end of this year. CEOCFO: Are you funded for continued growth and research or will you be seeking funding? Dr. Gold: We are talking to everyone all the time. Five percent of our company is about that kind of deal making and business development. We have a deal with Quest Diagnostics amongst others, and we have many collaborations which are not announced where we are helping people. We have a co-promotion deal with Agilent and the question we are really is asking is how we can make this thing grow more quickly so we can help people more quickly rather than growing medical disruptive technology the way you would grow a grocery store. Our hope is to grow this as explosively as it can be, not limited by funding. We have raised a couple hundred million dollars since we have started as a private company, which is a lot. Now we think we can say legitimately to potential partners that the technical risk is low, and that was not true when we were raising all of this money. CEOCFO: Why does SomaLogic stand out for investors and people in the business community? Mr. Gold: We measure more proteins in blood than anybody else in a cost-effective and rapid behavior, and proteins in blood go up and down as a function of your disease status. We have done work on nutrition, disease, and many other things. The blood proteome is a measure of how you are doing in anything that you want to think about, and we have failed to find biomarkers very rarely. It is a one-stop approach, and we are willing to use it to help in a way that is selfless. We want to help, and we also would like to help pharma companies and biotech companies learn more about the diseases they study. We have done many experiments with rare diseases, and we quickly find things that are usually hard to find. There is an immense amount of learning people get to do with the data we give them. Things can migrate very quickly from knowledge to diagnostic tests, which is what we are working on now to make sure diagnostic products flow seamlessly from the biomarker discoveries.